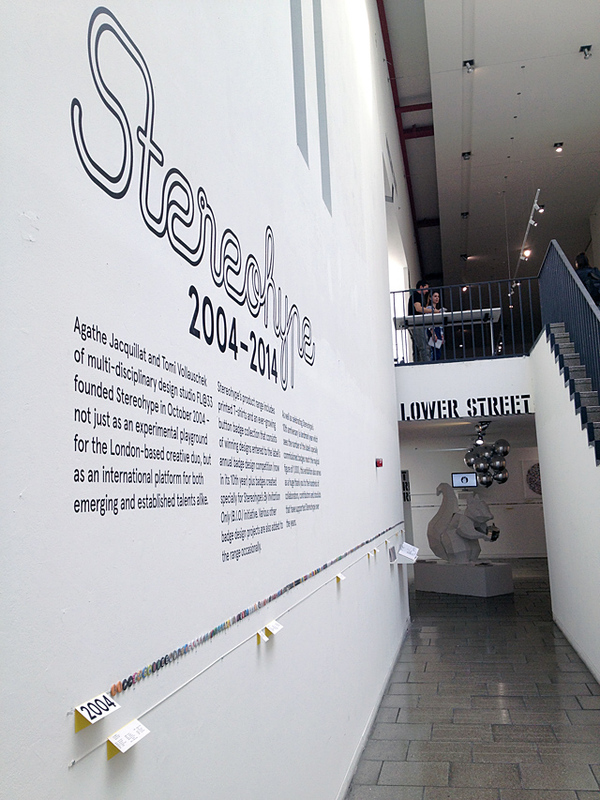 The FL@33-curated and designed exhibition Stereohype 2004–2014 also involved developing various different exhibits including commissioning the 10×10 Poster / Badge Anniversary Series, designing the anniversary book Stereohype 2004–2014, compiling this year's B.I.O. 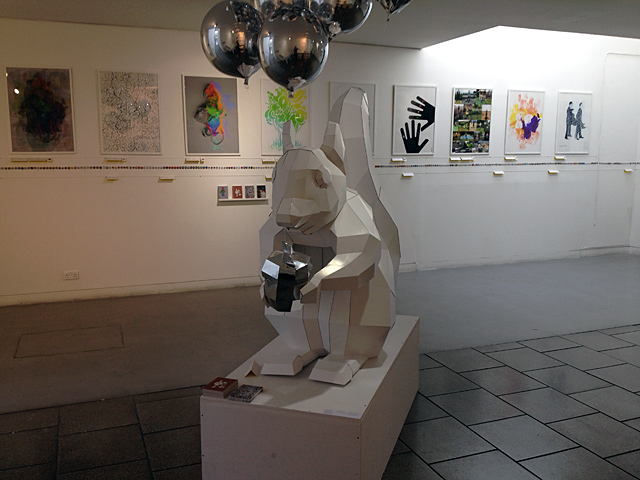 (By Invitation Only) Series 14 and creating a custom perspex frame showcasing Stereohype's whole 1,000-strong button badge collection. 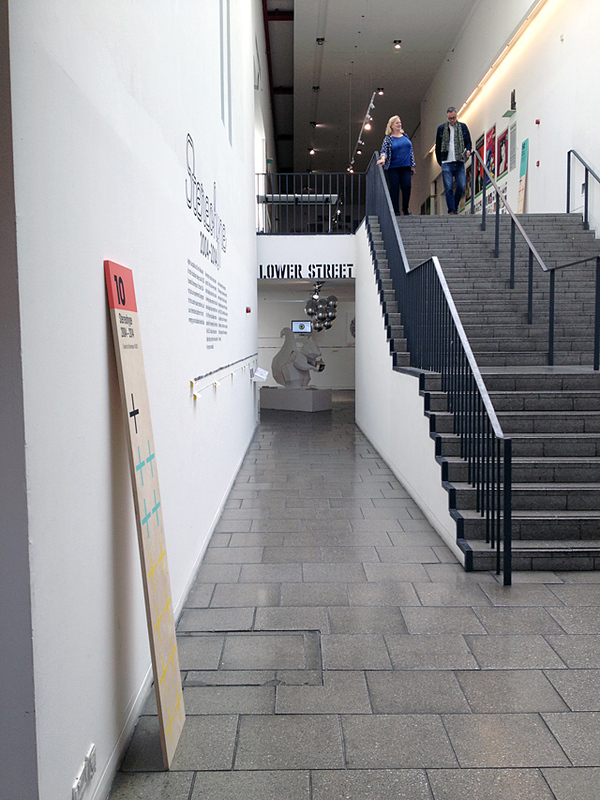 ___ Looking back at the first ten years of FL@33's sister-company Stereohype we naturally also reflected, set new targets and made plans for the future. 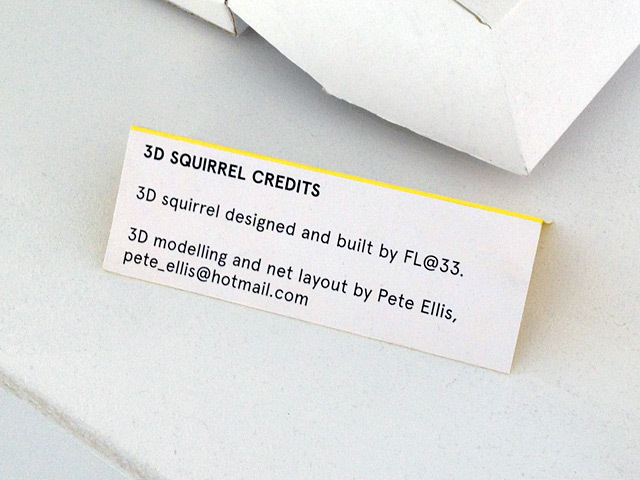 This involved taking the FL@33-designed, ever-evolving visual identity and start developing it further at this occasion. 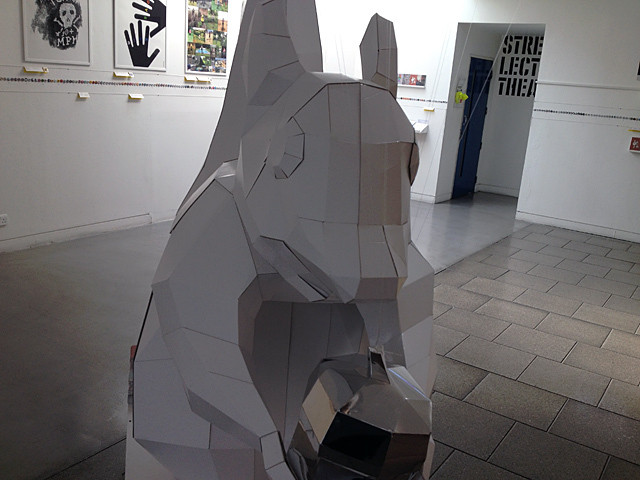 ___ Part of Stereohype's flexible identity system has always been a mascot squirrel. 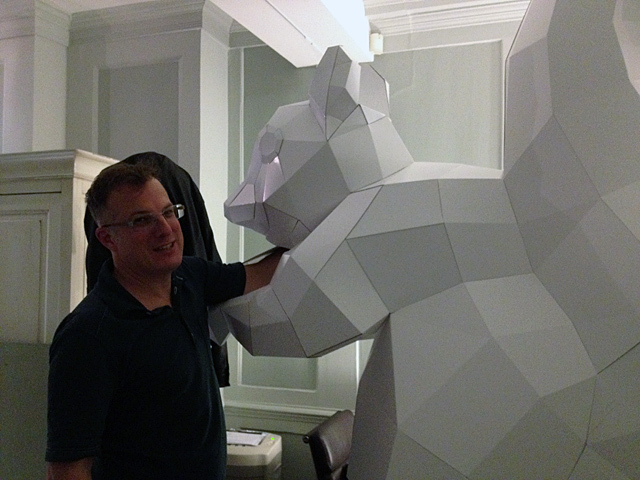 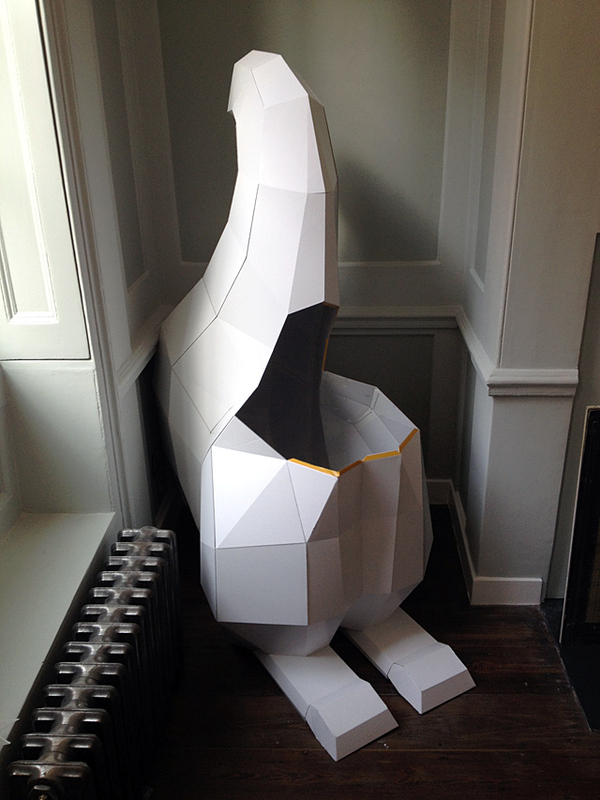 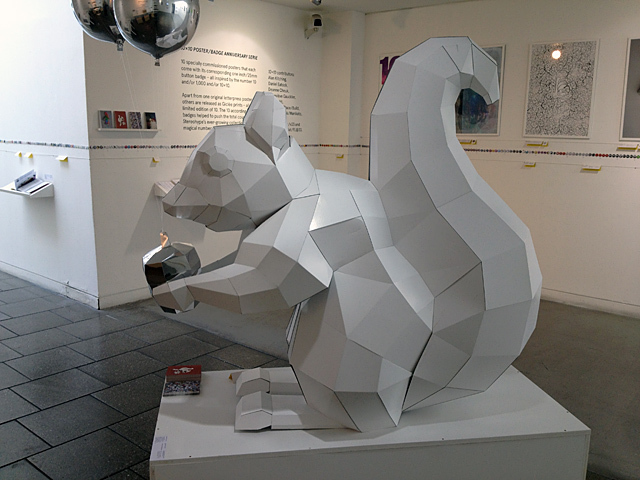 The fourth and latest incarnation of the squirrel is a low-polygon squirrel we designed with a sculpture for the show in mind. 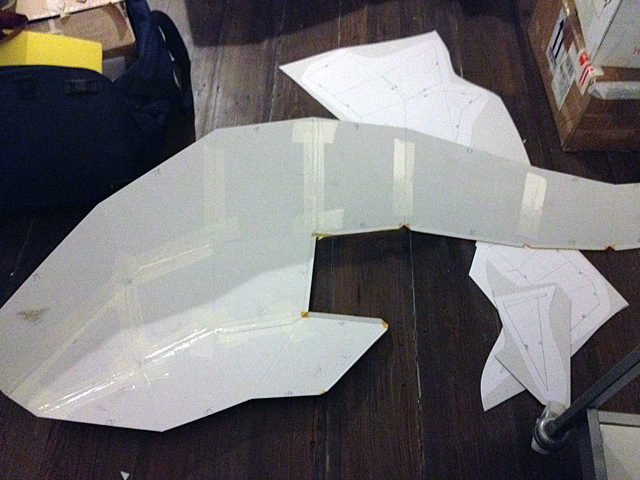 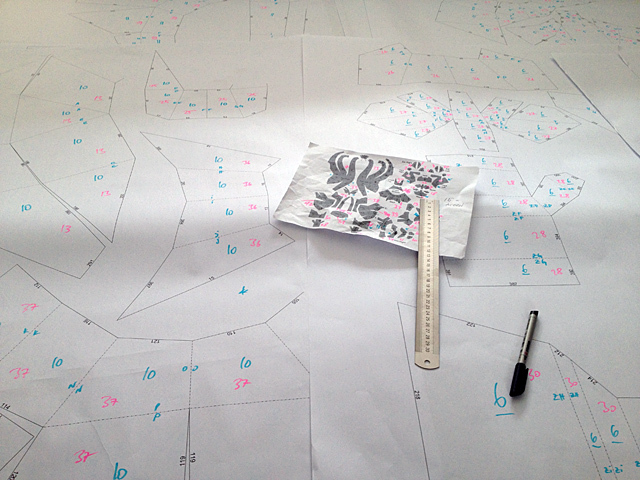 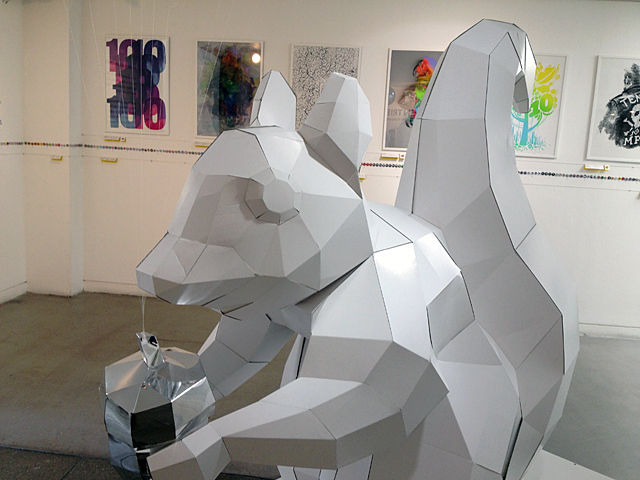 Based on front and side view wire drawings we made as 2D vector graphics we commissioned a 3D designer who developed the 3D model with us and generated a net layout in order for us to be able to build the squirrel sculpture ourselves. 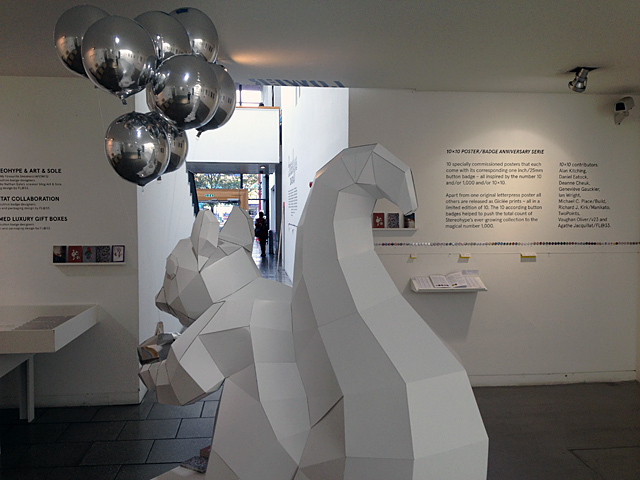 Resulting 3D renders were also used for animations and visuals for the exhibition campaign. 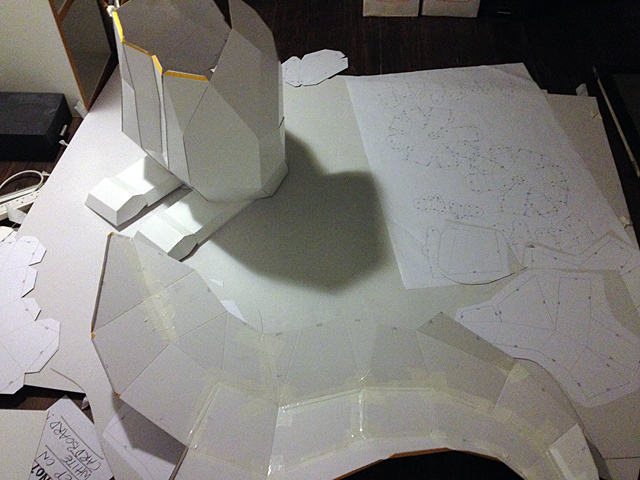 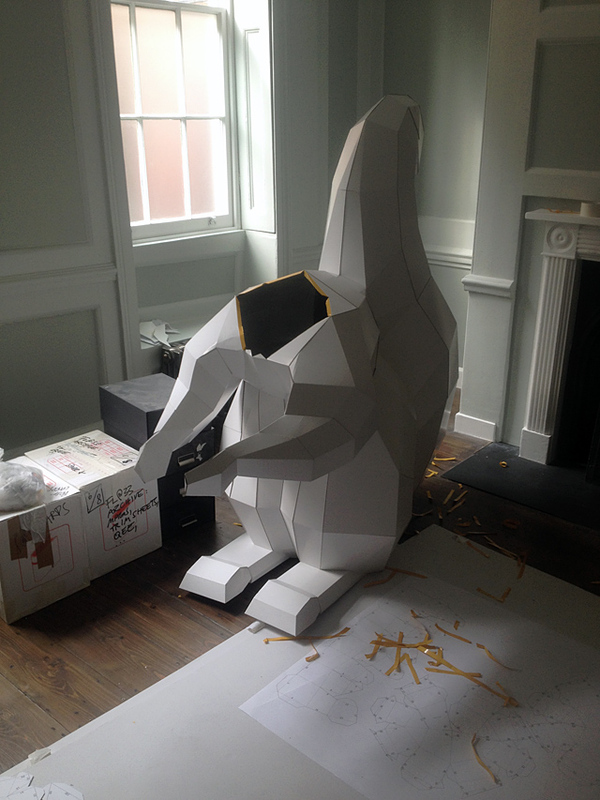 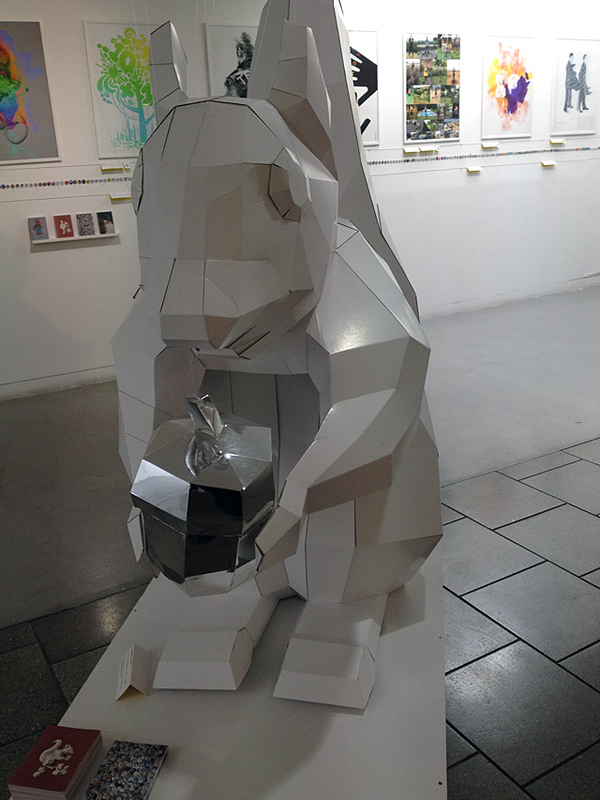 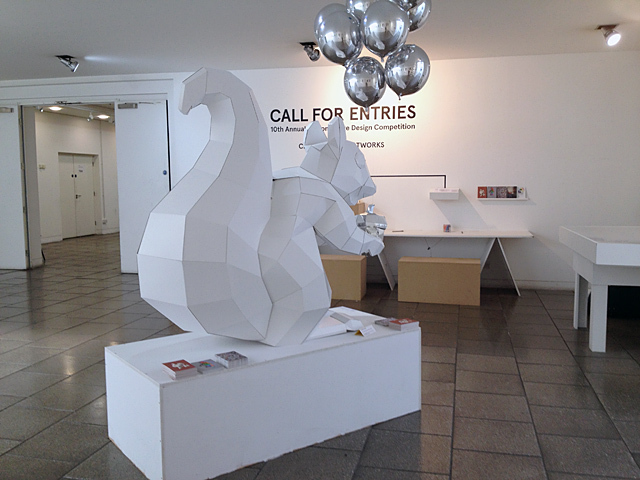 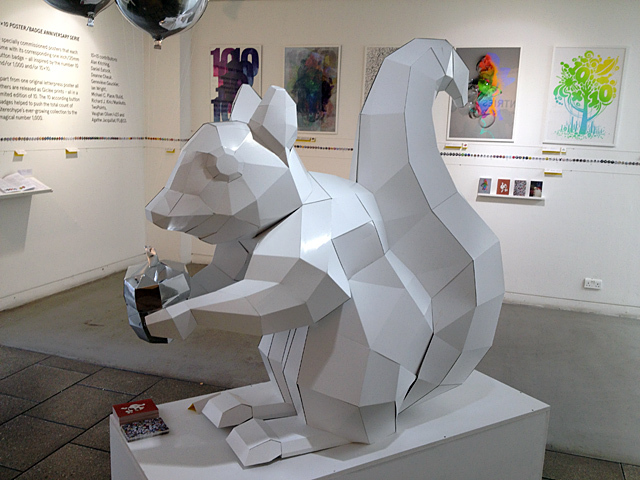 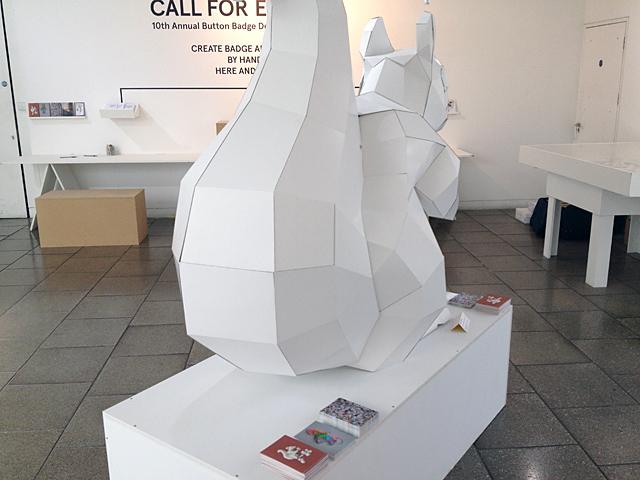 ___ The challenge to build a huge real-life squirrel sculpture – 1.5m tall plus plinth – led us to experiment with styrene and plastic weld before abandoning failed attempts to successfully build the final sculpture using E-flute cardboard and mirror material. 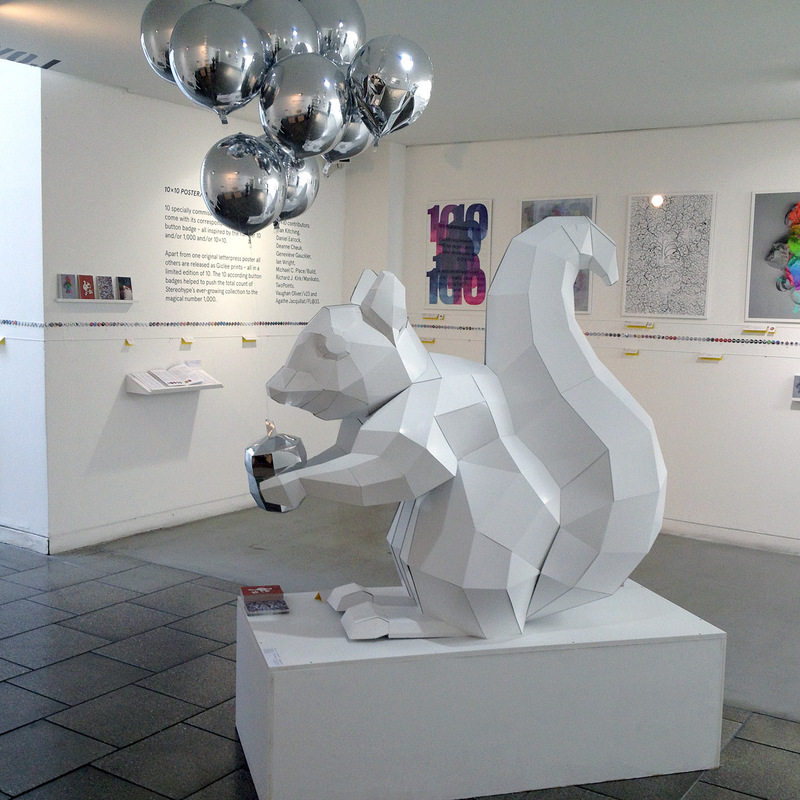 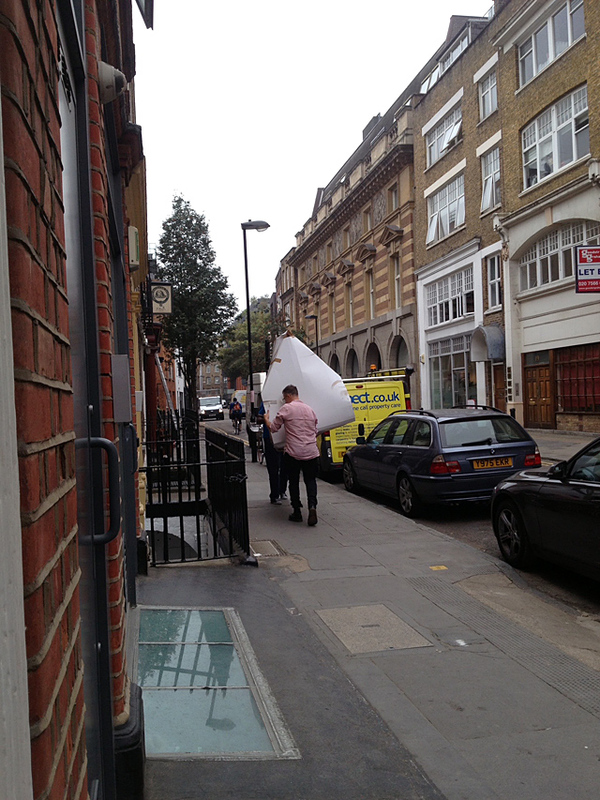 ___ Ten helium balloons were the finishing touch for Stereohype's party squirrel that was placed in the middle of the gallery space for it to be still visible from outside the exhibition space to draw visitors into the corridor leading to the gallery. 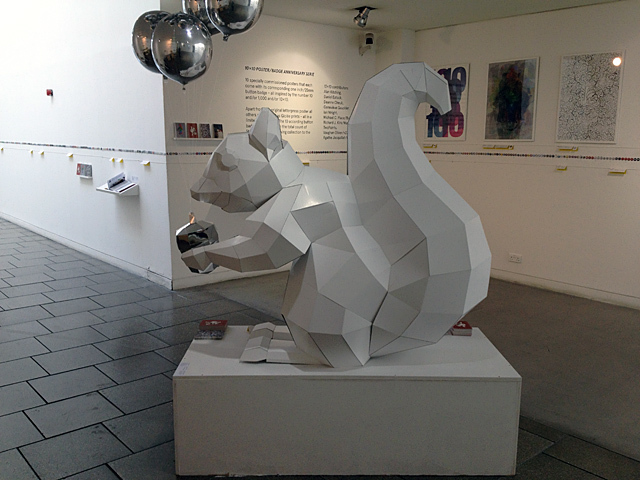 The sculpture was added to the show in time for the private view.